In this modern bodybuilding era of cutting edge supplementation, scientific research, gimmicky isolation machines and fad workout programmes, it seems the basics of old-school bodybuilding have long been forgotten. Turn the clock back 60-70 years and gymnasiums were a different place. There were no “scientifically-proven” split routines, no teenagers gulping down dodgy looking pre-workout, performing endless repetitions on the pec dec, listening to their “Black Eyed Peas Mega Pump Mix”, and making no gains whatsoever. Instead, gym goers adhered to the simple and honest principles of their Golden Era idols. And these principles worked – plain and simple. This routine should be performed only 3 days per week – making the most of rest days to recover and grow. Remember, the body needs to recover – the absolute key to muscle growth is recovery – so hit it hard and then give it some breathing space to grow! Don’t slack off with your rest between sets, keep the intensity high. Grimek advised that lifters take between 45 seconds and 1 minute rest between sets and between 2 to 3 minutes rest between exercises. Good form is paramount – and John Grimek was a stickler for this. 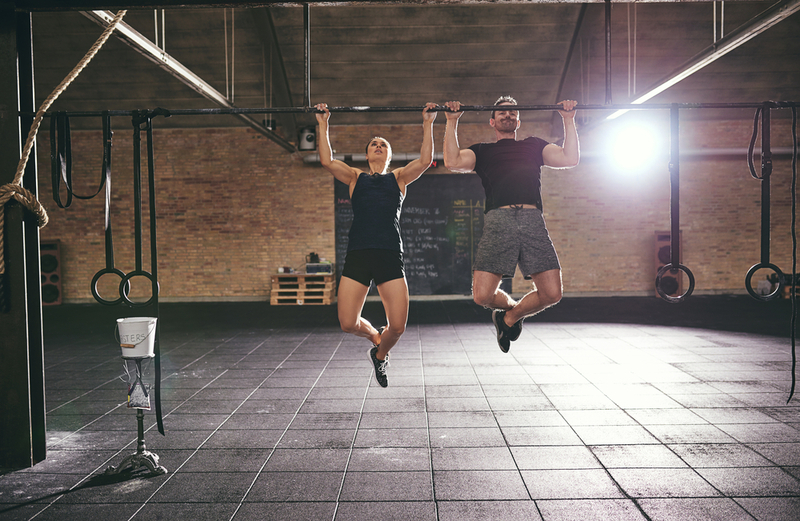 All reps should be slow and controlled – perform reps until you can longer maintain perfect form. Swinging, jerking of bouncing the bar will just hinder progress. As with any bodybuilding routine, nutrition is just as – if not more – important than what you are lifting in the gym. If you want to replicate what the old-timers did, fuel your muscle growth by feasting on meals of red meat, whole cream milk, honey, whole eggs, fruit and nuts. Don’t be fooled into thinking this is an outdated – or oversimplified – routine. I’m yet to find a training protocol more effective than these old-school full-body routines. By working hard on the basic compound movements and getting lots of rest and good food, you will gain strength and size rapidly, just like the old-timers were able to – before steroids entered the equation. In addition, the good thing about this John Gimek routine in particular is that it is a lot more achievable than the majority of Golden Era full body workouts that have previously been published. Many of Steve Reeves’ published routines, for example, featured over 40 sets – a tall order for anyone who isn’t a professional athlete! With this John Grimek routine you’ll be hitting between 16-18 sets per session, which shouldn’t take more than an hour to complete. 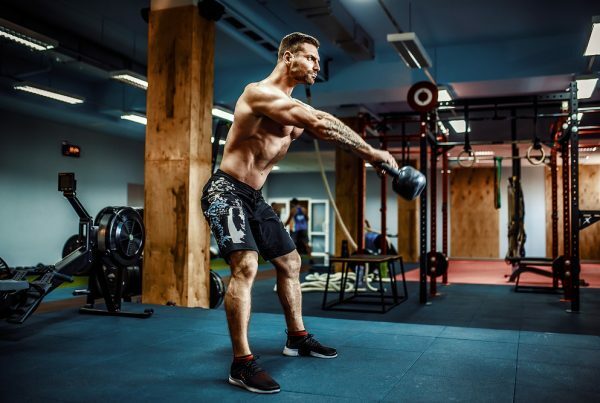 This John Grimek training programme is an extremely effective – and manageable – full-body routine for building muscle and establishing a well-rounded, functional physique. If you’ve been struggling to see solid results with a typical bodypart split routine (if you’re not on anabolic steroids why train like someone that is? ), give this John Grimek programme a go instead and see how you get on. Provided you’re eating well, sleeping and getting lots of rest, you will see gains on this routine, there’s no two ways about it! For more workout programmes like this visit http://www.gym-talk.com/training/workout-reviews/. If you fancy giving this routine a go – or if you’ve already tried it – I’d love to hear from you! And one of the strongest – and greatest – of the old-school lifters was a man called John Grimek, a true icon of the sport who pioneered many of today’s tried-and-tested bodybuilding principles. John ‘The Monarch of Muscledom’ Grimek – who never lost a contest in his career – was the biggest name in bodybuilding during the 1930s and 1940, twice winning the coveted AAU Mr. America. According to the legendary Steve Reeves, Grimek was “the greatest bodybuilder that ever lived” – praise indeed coming from Hercules himself! And in addition to boasting a supremely muscular and world-beating physique, Grimek was – like the greatest of the old the Golden Era legends – every bit as strong as he looked. In 1936 he competed for the USA in the infamous Berlin Olympic Games and at one point in his career he held the American and World Record for the Overhead Press. Today I’m going to take a closer look at one of John Grimek’s favourite muscle building routines which is based around his philosophies for building size and strength.